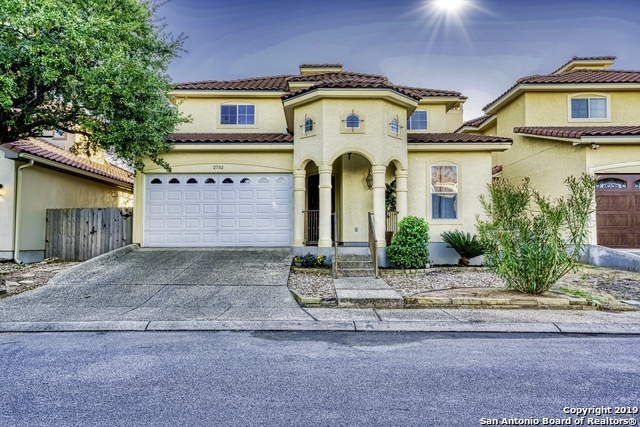 All PALLATIUM VILLAS GDN HMS homes currently listed for sale in San Antonio as of 04/25/2019 are shown below. You can change the search criteria at any time by pressing the 'Change Search' button below. "Beautiful/Amazing Spanish Style Architecture Home! This 2,740 sq/ft Residence is provided with 4 Overly Sized Bedrooms/2Baths/1half-bath & a DOUBLE-HEIGHT CEILING Living Room with a Magnificent Fireplace. Tile Roof/Thick Stucco Walls/Beautiful Custom Floors/& a courtyard that performs as an extension of the interior. Open Floor Plan/Archways/Balcony/Cove Ceilings & Custom columns communicate to this Spanish Modern Residence/Near Shopping Centers/airport/easy access to highways 1604/281&410:)Home"